Glebe semi detached backyard. The backyard consisted of a brick wall and a garage door. 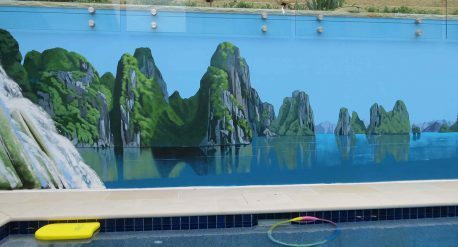 After preparing and undercoating the surfaces with etch primer and stain resistant prep coat , Annette was able to paint a mural over these difficult surfaces and make it all look uniform. She left parts of the wall to appear as columns supporting the shelf and plants above. 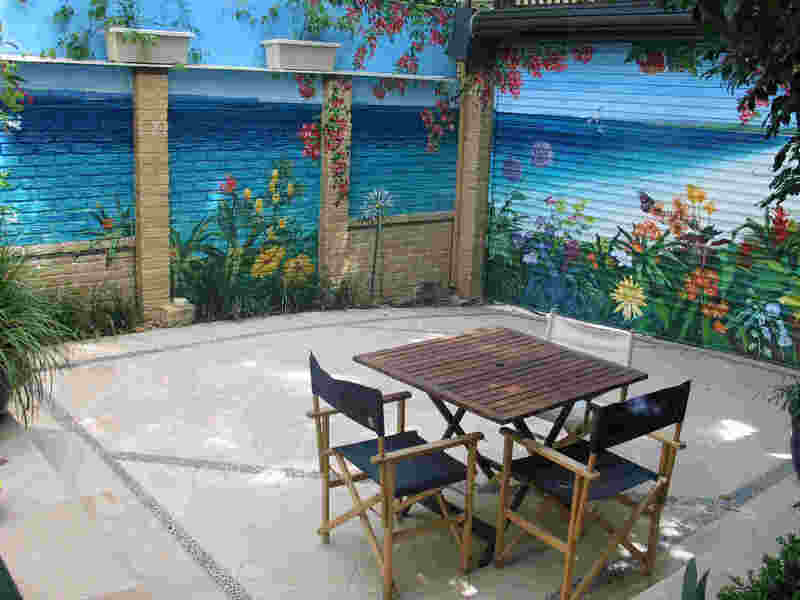 The result is a sunny inviting backyard area with views over the families favourite holiday spot. 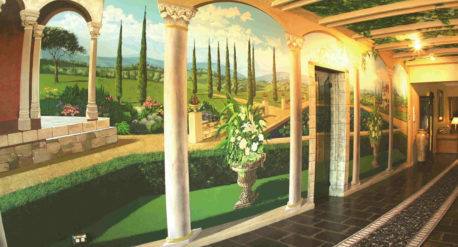 Often Annette also paints the clients and their family members into her murals. Interest is added for children into this mural with hidden Insects and frogs. 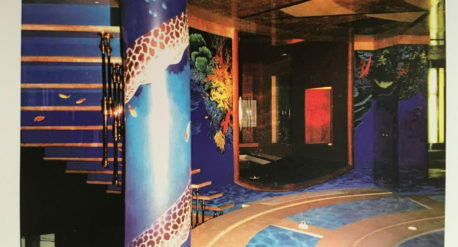 This mural was featured in a Sydney Morning Herald article.